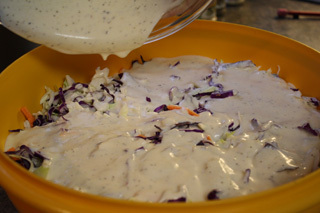 As I was getting ready to make BBQ pulled pork sandwiches for the aimClear office, I realized I needed some really good coleslaw to go on top (or as Minnesotans seem to do, to eat as a side to their super delicious sandwich). 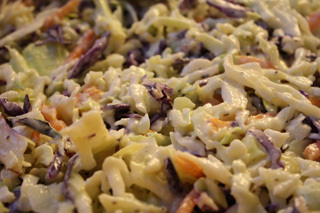 I searched the web and was getting frustrated with the seemingly endless variations on coleslaw with no real guarantee of their tastiness when I came across a YouTube video with step-by-step instructions on how to make this amazing coleslaw. It looked beautiful and easy to make. While I still couldn't be guaranteed that it would taste good (looks can be deceiving), I had reasonable faith that this coleslaw connoisseur wouldn't lead me astray. I went out to the store to add to my spice collection and began my amazing journey with coleslaw. 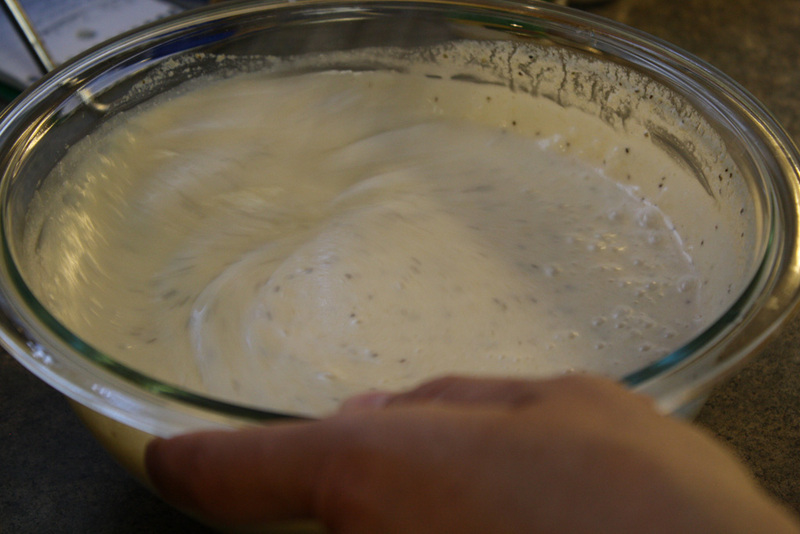 Mix mayo, sugar, wine vinegar, lemon juice, and fat free half & half in a medium mixing bowl. 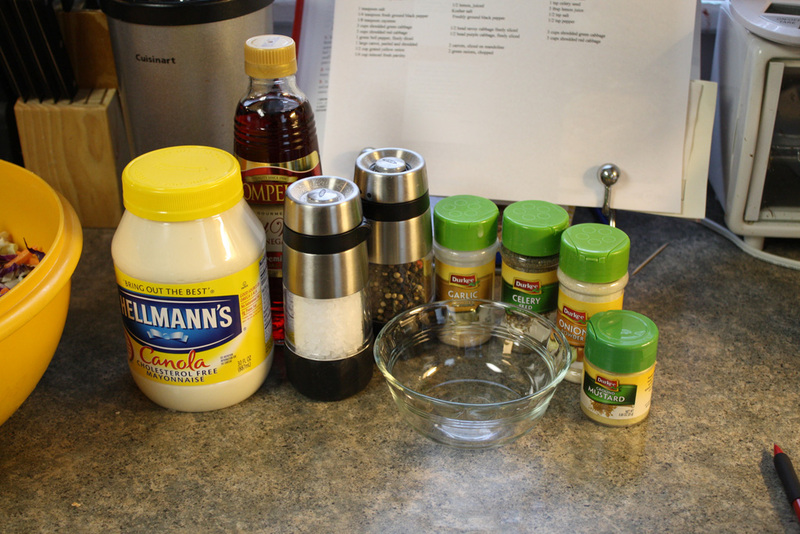 In a separate small bowl, combine the mustard powder, onion powder, garlic powder, celery seed, salt, and pepper. Mix spices well before adding into the mayo mixture. Pour the cabbage into a very large mixing bowl. Finally, pour the spiced mayo mixture over the cabbage and toss carefully. 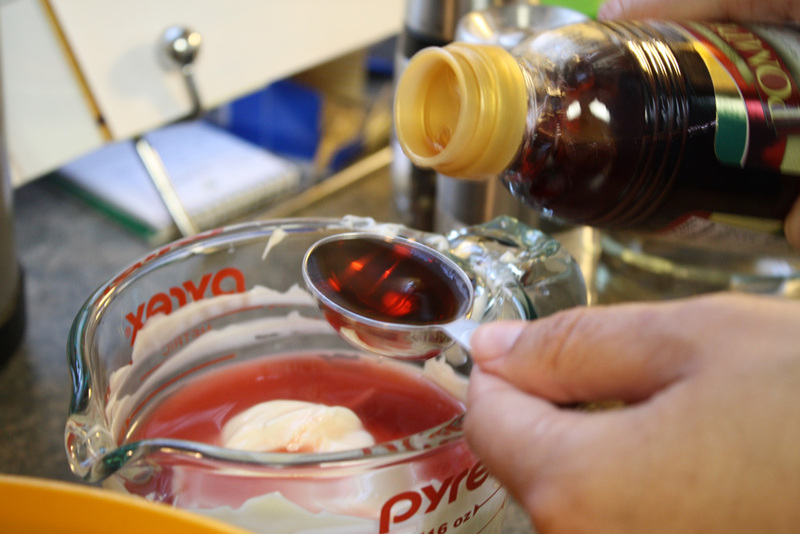 Refrigerate for one hour (or longer) and serve. This flavorful coleslaw will delight anyone’s palate and goes great on (or next to) a BBQ pulled pork sandwich! Enjoy!